Bold, Daring, Life Changing Truths. Print version available E-book coming soon. - LAUNCH OUT INTO THE DEEP! Click play to listen to a brief description of Launch Out Into The Deep! Click play to listen to the chapter titled, "The Secret Shame: Confessions From Men," from Launch Out Into The Deep! Click play to listen to the chapter titled, "Wall of Protection," from Launch Out Into The Deep! 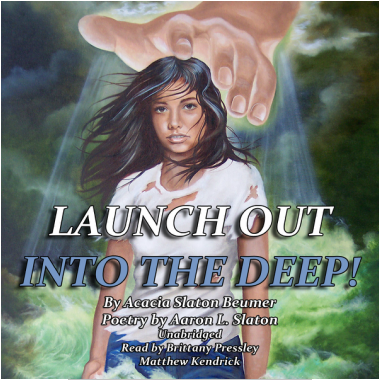 Click play to listen to the chapter titled, "Angels Watching Over Me," from Launch Out Into The Deep! Click play to listen to the chapter titled, "Living Water," from Launch Out Into The Deep! _Launch Out Into The Deep is available in Paperback, E-Book, and Audio Book! Sign up for our newsletter and you will receive two chapters from the book titled, "Single, Lonely, and Broken Hearted," and "The Wide Road to Destruction." You will also receive audio readings not featured on our site and much, much more. All information is kept confidential, so don't worry. Sign up today. Please add info@launchoutbook.com to your contact list, so that the email will land in your inbox. Thanks!